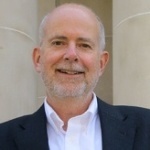 Tim Draimin is the Executive Director of Social Innovation Generation (SiG). He partners on collaborative cross-sector initiatives strengthening Canada’s social innovation ecosystem. He is a member of the scientific advisory board of Grand Challenges Canada and a senior adviser to MaRS Centre for Impact Investing.